Clean air is life. Medicine has taught us so much about it. Remember the ABC’s of basic life support. When faced with a medical emergency, check the ABCs first before doing any life-saving measures where A stands for airway, B for breathing and C for circulation. A few minutes without air and your brain loses oxygen that is essential for living. You will soon be declared brain dead and you might go into a coma. That is just how crucial air is in living. And breathing clean air is just as important as being able to breathe. Constant exposure to pollution damages important body organs and systems and puts you at higher risk of certain medical conditions like asthma, emphysema and even lung cancer. 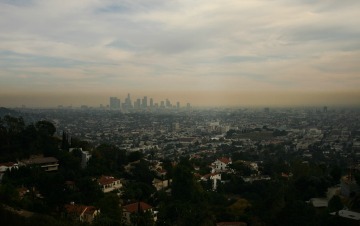 However, breathing clean air is becoming more impossible in a modern world dominated by technology. Fumes from vehicles, smoke from vices like smoking and polluted air emitted by factories and other manufacturing plants contribute to this major issue. It is likewise a common problem faced by a progressive nation like America. A combination of unfortunate topography, a large population, and the realities of worsening climate change makes California cities some of the worst places to breathe air in America.